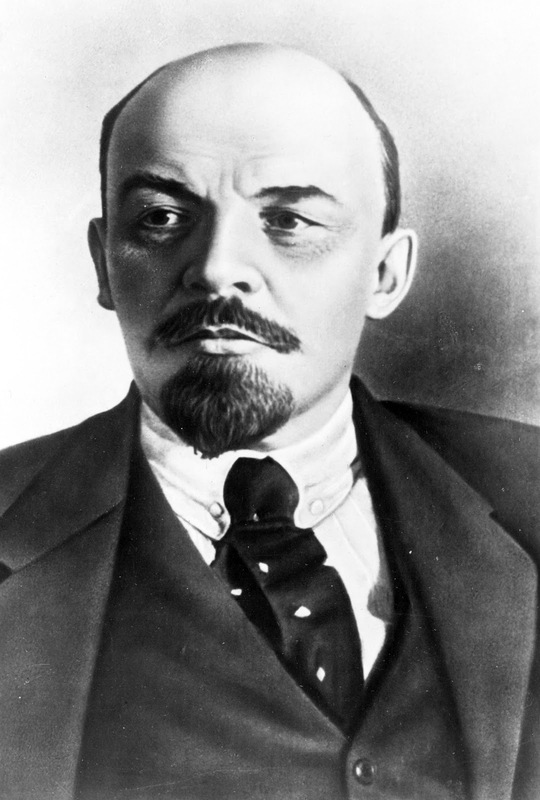 Vladimir Lenin was born in Russia in 1870. He joined the Marxist Social Democratic Party, which later became the Bolshevik party. After the first Russian revolution in February 1917, Lenin and the Bolsheviks planned and carried out the October Revolution, making Russia a Communist state. The Bolsheviks had little support from the Russian people at the start, so Lenin signed the Treaty of Brest-Litovsk with Germany to take Russia out of the First World War. In order to stay in power, Lenin's Bolsheviks, or Reds, had to fight the opposition forces - the Whites - in the Russian Civil War. The Red Army was organised by Trotsky. Lenin began the policy of War Communism in order to supply the army. This meant that the government controlled industry and farms, and geared everything towards the war effort. He also established a secret police, the Cheka, to eliminate opponents. The Cheka began a campaign called the Red Terror against the White forces. The Red forces won the civil war thanks to these actions and to Lenin's use of propaganda to make people fear the return of the tsar and the intervention of Allied armies. The Bolsheviks, now the Communist Party, were in complete control. A revolt broke out in a naval base in Kronstadt, near Petrograd, where workers were angry about the effect War Communism had had on the Russian people. The revolt was crushed by Red Army soldiers but Lenin realised he had to change his policies. Lenin introduced the New Economic Policy which would end food confiscation from peasants, allow them to sell surplus food and allow small-scale private industry. Lenin argued that this policy was necessary to ensure the survival of the Communist Party, and his argument was proven right when the economy improved by the mid 1920s. Rich farmers (kulaks) prospered. The last known photo of Lenin. 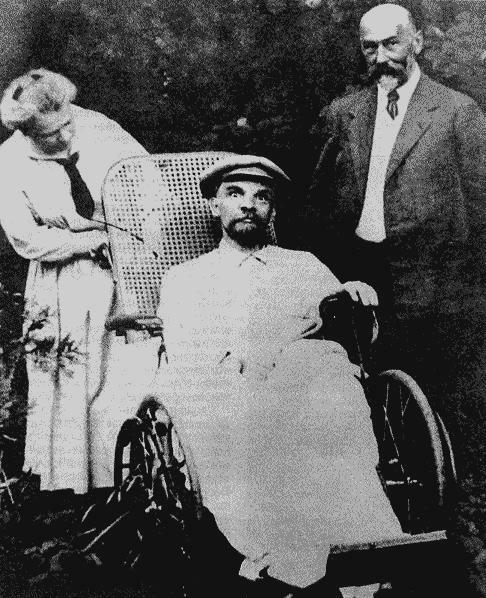 Lenin suffered a series of strokes between 1922 and 1923. He died in January 1924, at the age of 53. His body lay in state for a week and was passed by thousands of mourners. A cult developed around Lenin after his death. His body was embalmed and displayed in a special mausoleum in London, and Petrograd was renamed Leningrad. He was succeeded by Josef Stalin, although his Last Testament revealed he was opposed to Stalin gaining power. Born in Russia in 1870. Joined the Social Democratic Party. War Communism, Red Terror, Propaganda. Kronstadt Rebellion makes him realise new policies are needed. Suffered stroked in 1922 and 1923, died in 1924. Lay in state for a week, body embalmed and displayed in mausoleum. Cult of Lenin developed by his successor, Stalin. 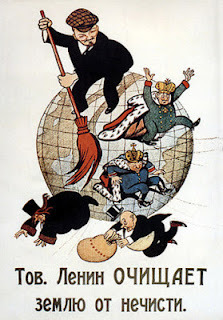 "Comrade Lenin cleans the earth from scum".